Creating love stories to relive your day forever. Would you love your wedding day captured into a timeless video you can relive again and again? Introducing Heartistree Studios, an Asheville based cinema team with over 10 years of wedding videography expertise. When your day arrives, you can let go of stress and naturally be yourself as we focus on capturing all of the once-in-a-lifetime moments. The day goes by so quickly! Whether it's a dance between your grandparents, the dogs trying to eat the wedding cake, or a sunset kiss between you and your partner, we are there to capture those moments for your timeless film. Imagine sitting down with family and friends and reliving your wedding day and re-experiencing all the joy you felt! Whether you're watching the film on your anniversary, or sending the video to family on the other side of the country, you'll have a timeless keepsake which embodies all the love felt on your celebration. 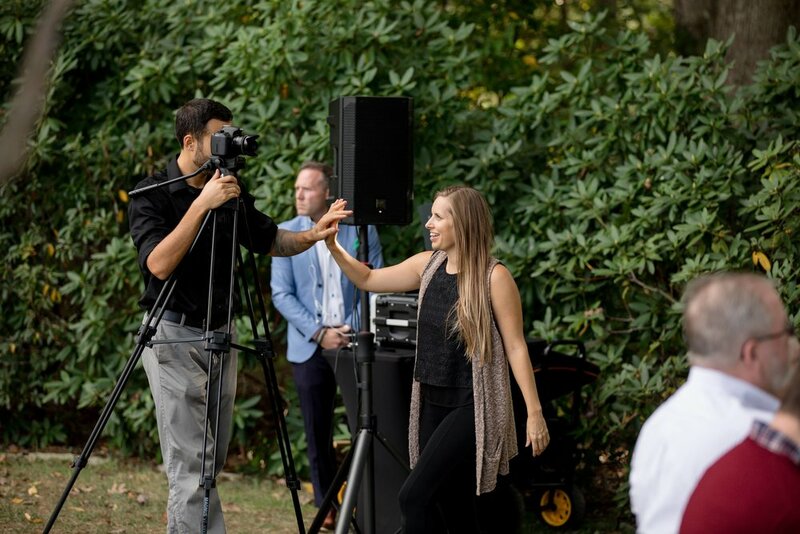 'We are Asheville videographers with over 10 years of wedding videography experience, creating over 100 wedding films all over the East Coast. Our focus is to capture the love between you & your partner candidly as each moment unfolds, in an unobtrusive way. We work with you to discover the vision of your wedding film so that when your day is here, you can enjoy the celebration. We provide a custom quote for you and your wedding or elopement! Watch our Films + take note of what you love! Fill out the Wedding Day Discovery Form. Receive an email from us to set up a phone call so we can assess your needs + wants. Receive a Custom Quote based on your needs after the phone call. We send you a contract. Return signed contract with $750 deposit and the date is yours! Ask about our Elopement Film Packages! Head over to our Elopement Films page for sample films. Here's what some of our previous couples have said about us! Your special day only comes once! It's our job and passion to provide a service and a product which will allow you to forever cherish these authentic moments! If you would like to learn more, please fill out our Wedding Day Discovery Form!